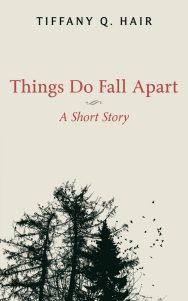 Drama, Fiction, Literature, Plays, short story, Theatre, Things Do Fall Apart, Tiffany Q. Purchased and Read. And I love it. So so so well written and true to life.. and it’s many layers upon layers of trying to figure it all out. When I reached the end, I was thirsty for more. Great job. Many thanks to you! I really appreciate your support. You have me smiling from ear to ear.